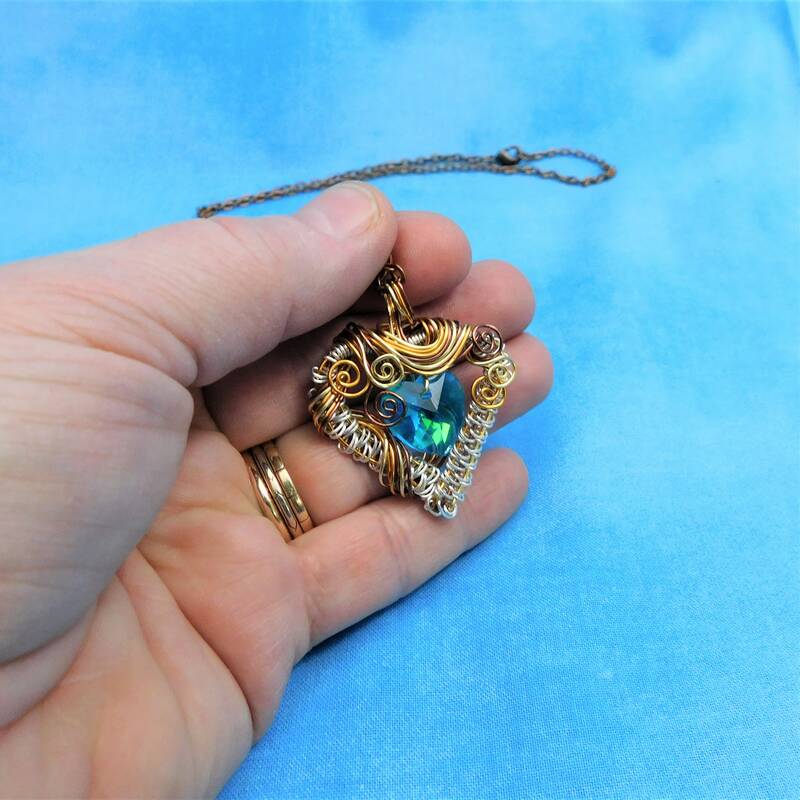 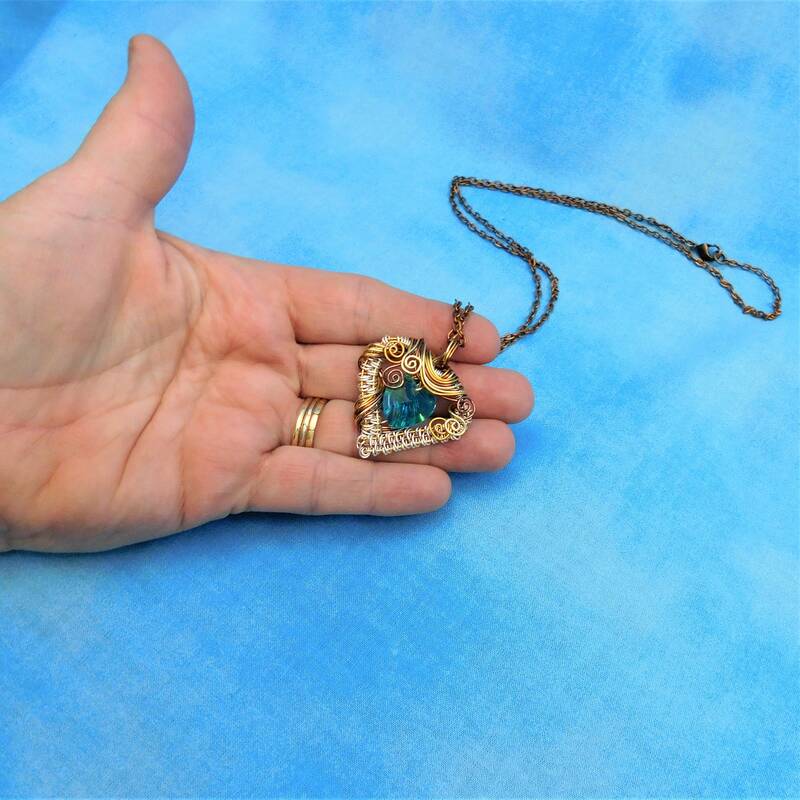 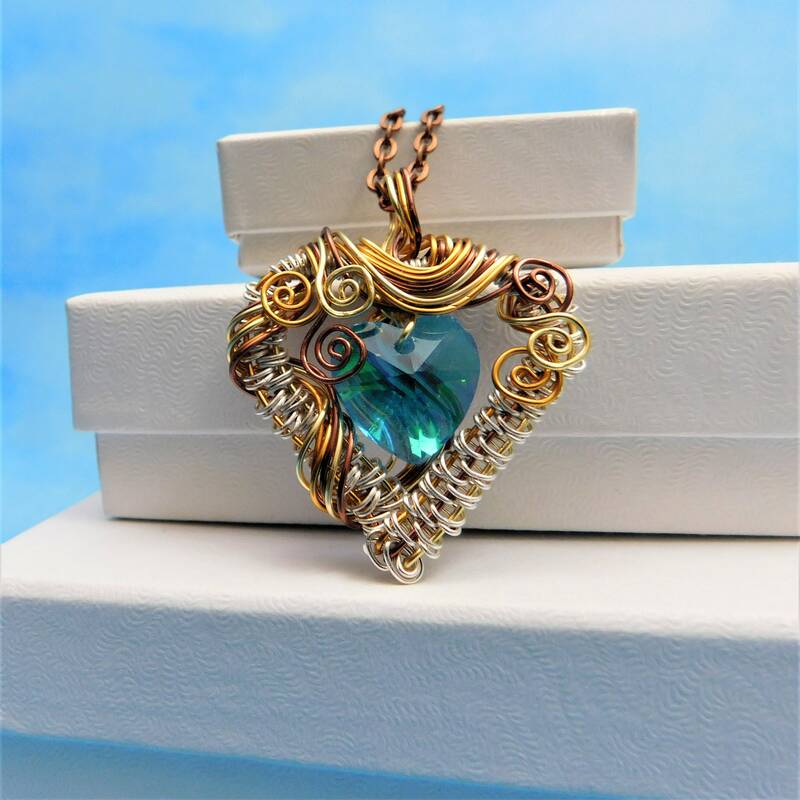 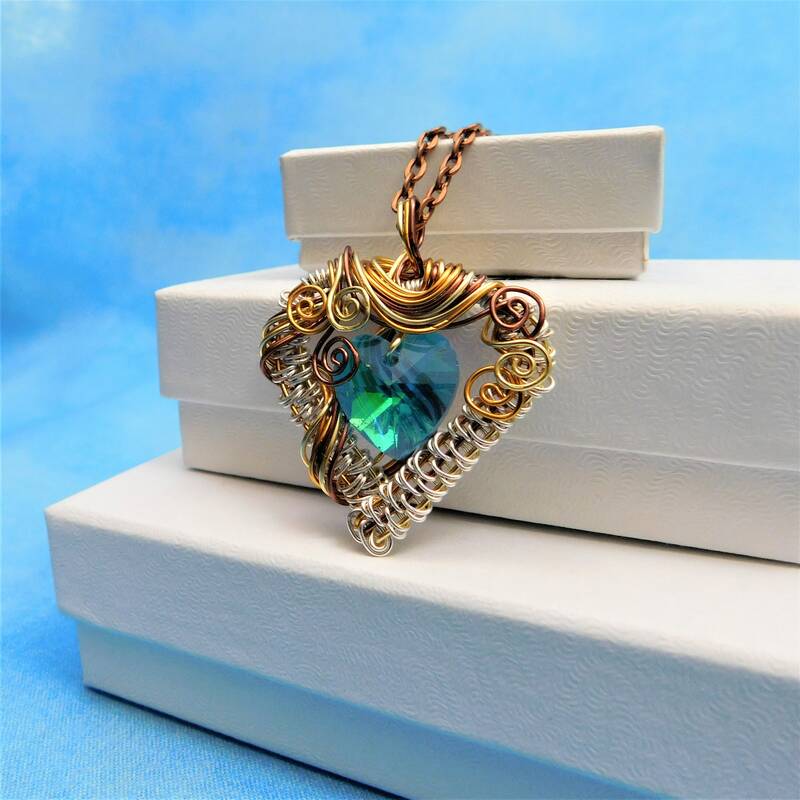 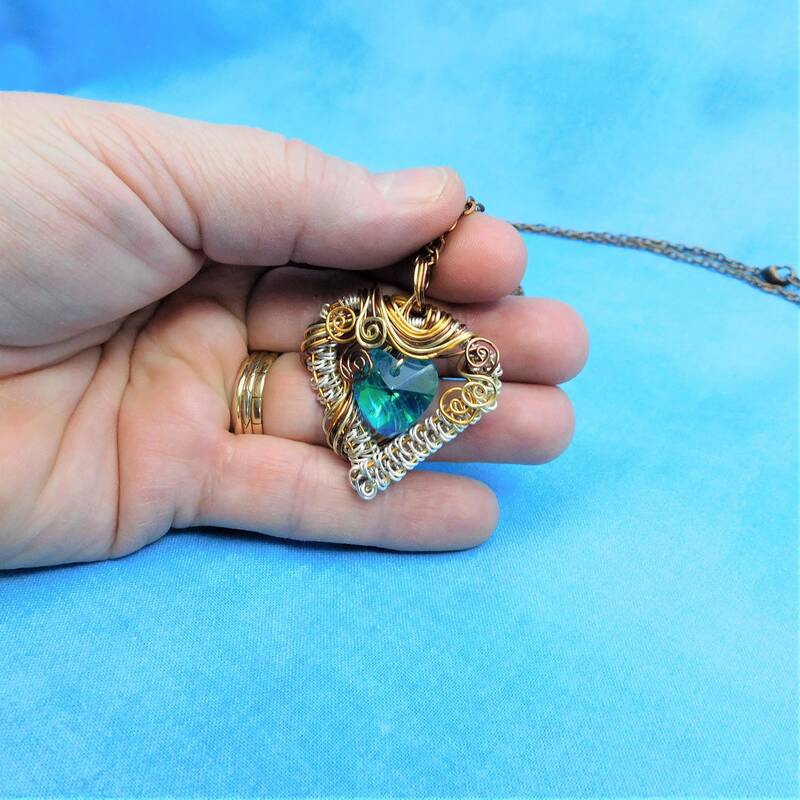 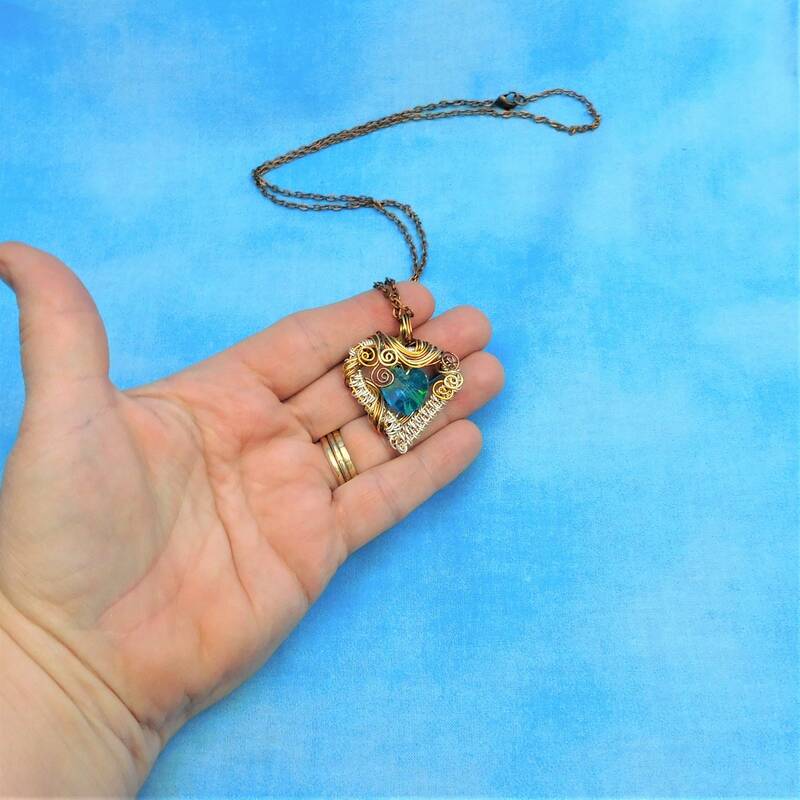 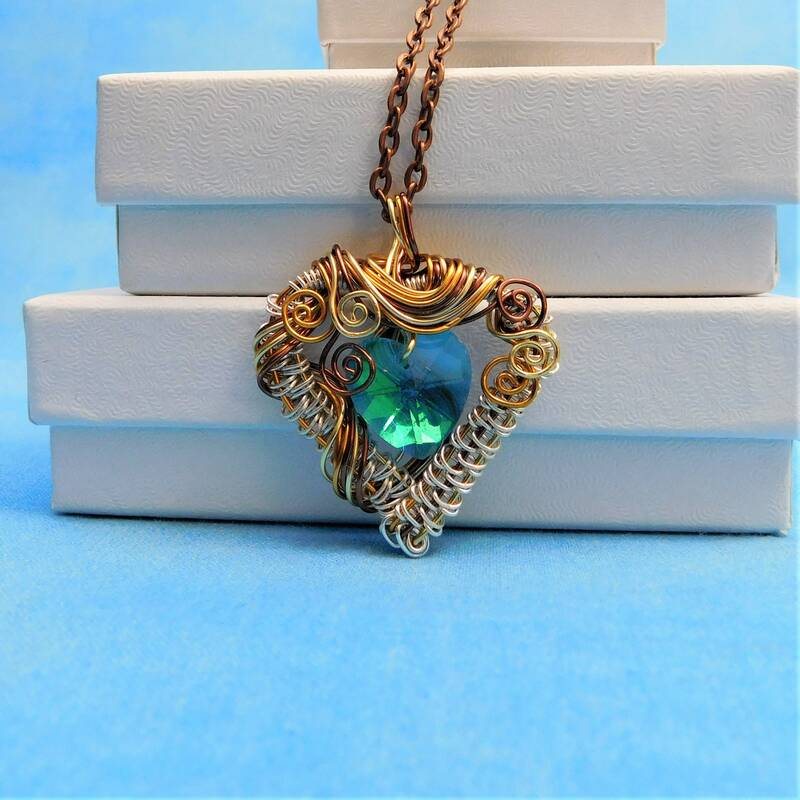 A blue heart shaped swarovski crystal foil backed bead is wrapped in non tarnish fine silver over copper wire, and framed with three shades of non tarnish copper and silver wire, creating a 1 1/2 inch by 1 1/2 inch pendant. 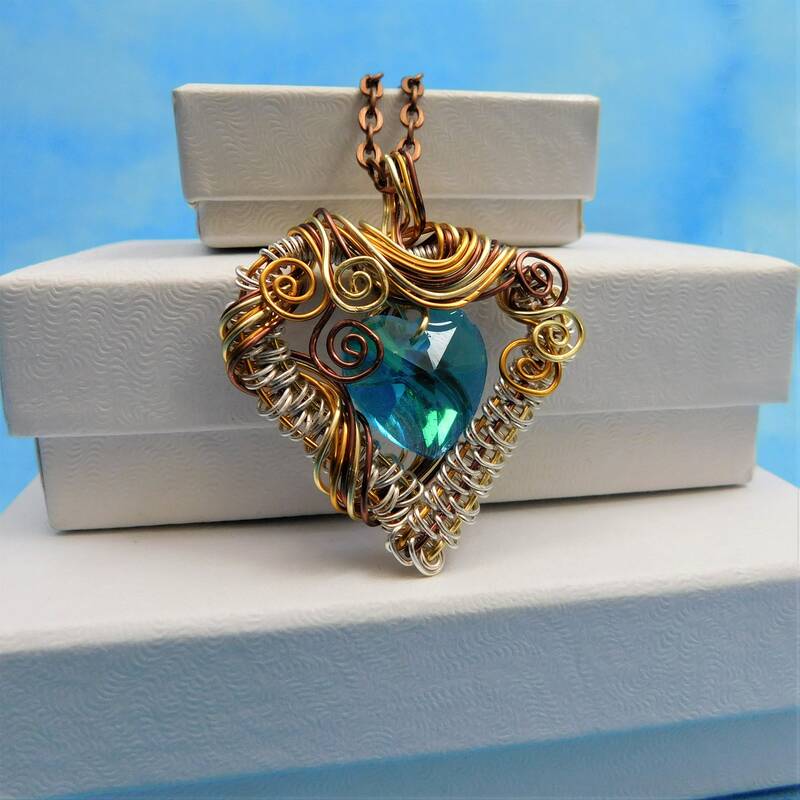 This beautiful pendant was hand crafted using only four strands of wire, pliers and patience. 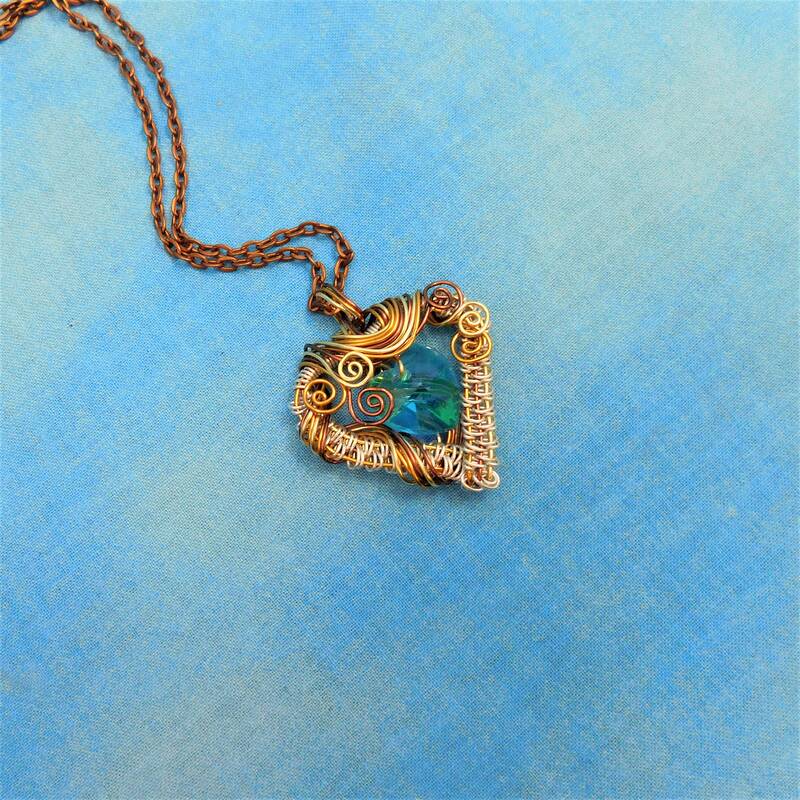 Green and yellow flashes of light come from deep within the blue faceted heart, suggestive of an internal flame. 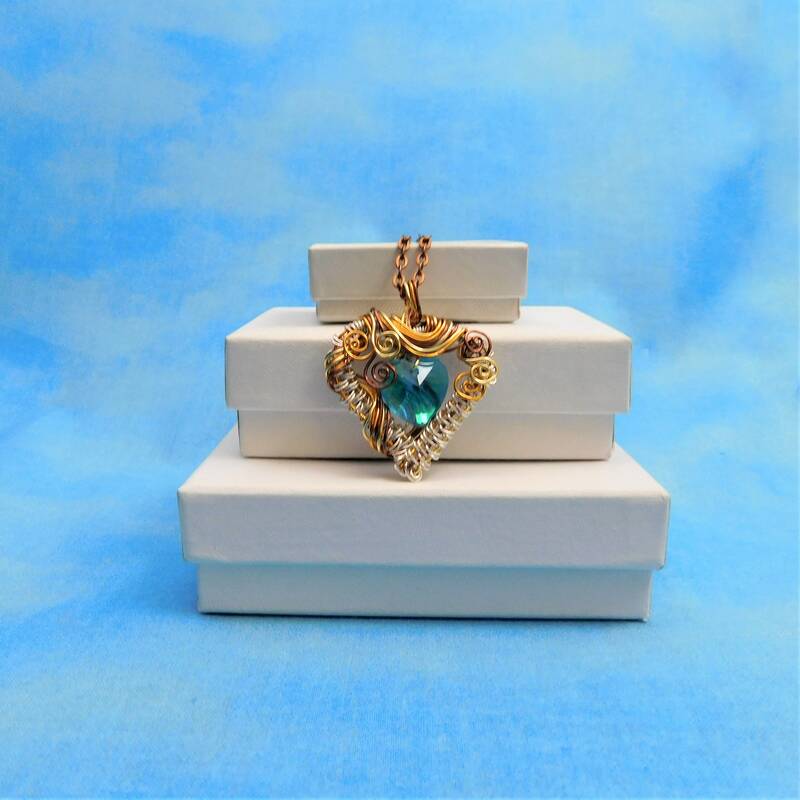 Included is a FREE coordinating chain with lobster claw clasp, measured to your preferred length.